Monroe County is the southernmost county in Florida and the United States. It is made up of the Florida Keys and portions of the Everglades National Park and Big Cypress National Preserve. These parks are mostly uninhabited mainland areas while the Florida Keys are a string of islands connected by U.S. Highway 1 which ends in Key West, 150 miles southwest of Miami. The Monroe County Sheriff’s Office, in addition to providing law enforcement service to the area, is responsible for three detention facilities which are located in Key West, Marathon and Plantation Key. 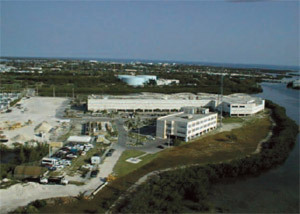 The main facility is located in Key West and has a capacity of 597 beds. 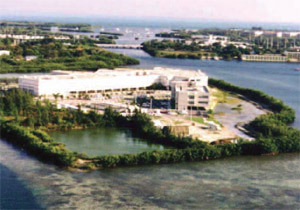 There is a 57 bed facility in Marathon and a 46 bed facility in Plantation Key. Because of the nature of the facilities, it is imperative that there be absolute key control and accountability. It is also essential that the access procedures already in place be strengthened by an automated key management system. Detention facilities are a highly structured environment so that security, safety and order can be maintained among the populace. Security procedures are clearly defined and include among others, head counts, inmate movements, visitor logs and cell inspections. Among the most closely guarded and stringent policies and procedures however is key control. Regulations state that staff is not permitted to discuss key control with anyone except duly authorized personnel and only outside the presence and hearing of inmates. In addition, policy states that each facility shall have a key control system that includes the absolute control of keys by the staff, key issuance records and a system which ensures that missing keys are immediately identified. KeyWatcher® Key Control System – By releasing assigned keys only to users with the proper authorization code, the KeyWatcher system helps to ensure adherence to established policies and procedures. Using minimal wall space, the key storage cabinet eliminates outdated lock boxes, unreliable manual logs and messy key identification tags. It also records the access history of each key, including user, date and time of checkout/ return. Constructed of rugged stainless steel, the illuminated key storage system is designed to resist abuse and is alarm protected against tampering. KeyPro® Performance Software – The user friendly PC application software delivers real-time polling transactions, status, alarm and reporting capabilities for the KeyWatcher system. Activity reports can be customized to trace key movements by time, date and user code or biometric access data. The KeyWatcher Key Control System, complete with the fingerprint access control option, was selected by the Monroe County Sheriff’s Office for installation in all three detention facilities. The KeyWatcher controls access to the keys and keys are tracked while in use, including times and user names. Staff is assigned various levels of access to the keys to help maintain effective key control and guard against carelessness or oversight. The accompanying KeyPro software provides a visible and audible notification of key activity and is easily custom programmable. Using the Morse Watchmans KeyWatcher Key Control System and KeyPro software, the Monroe County Sheriff’s Office has been able to better adhere to established policies and procedures regarding key control and reporting. The biometric (fingerprint) access function and the “time release” capability of the key control system have also been extremely beneficial to the operation.